This was the largest shopping centre in the UK and remains the most distinguished. 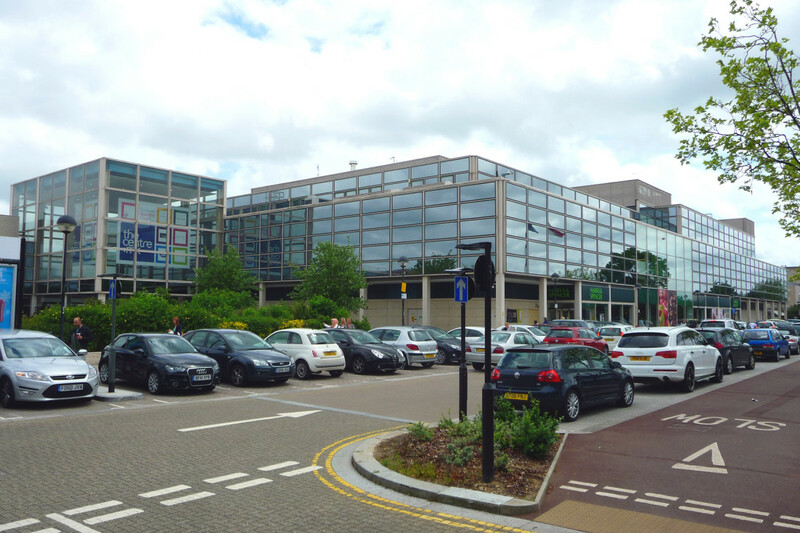 Milton Keynes is a grid-plan city and the Shopping Building plan picks up the idea: a long rectangular extrusion. Shopping Building puts pedestrians first. Delivery trucks are diverted onto the roof – you occasionally glimpse them. And shoppers approach all elevations on the level (it won a pioneering accessibility award). Nowhere do refuse yards, ramps and dead spaces intrude on one’s approach. Inside, shopping prevails, but retail frontages are kept in line, the lack of visual clutter so refreshing. It’s Mieseian, if by that you understand the smallest parts of the architecture have a clear relationship to the largest elements, on both plan and elevation. It’s Miesian too in carefully detailed joints and finishes, its steel, glass, travertine. It was listed in 2010 but not before dozens of tiny changes. A larger change was the indoor planting, once spectacularly lavish. Full-grown trees and giant cacti have given way to bedding plants. That could – and should – be reversed.